This has been the Stupid “All-Inverted First Letters of Names” Team. Thank you for your squandered time. 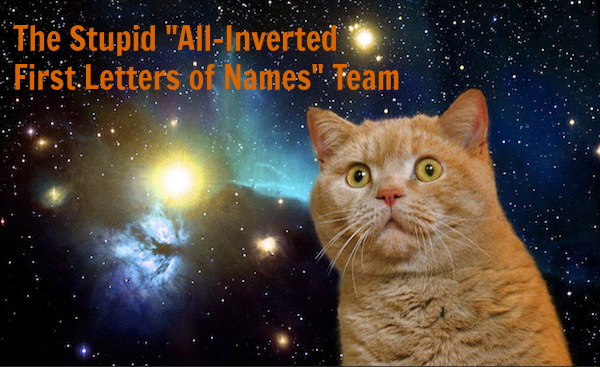 We hoped you liked reading The Stupid “All-Inverted First Letters of Names” Team by Dayn Perry! Recently Purchased Cap Update: Item Out for Delivery! This article reminds of a kid who got bullied all the time once someone inverted his name this way. He took it in stride, toughened up, and worked his way into becoming one hell of a linebacker. Safe to say, Bick Dutkus got the last laugh. I would have thought you’d make some silly comment about Hay Jowell.